It is already been a long time since we have not posted an article on free Photoshop brushes that is why in today’s post, we are bringing to you again the element that is considered to be one of the most helpful for designers in adding a little extra embellishment and in adding a touch of texture to their design projects. The Internet provided us with thousands of Photoshop brushes that can be downloaded for free but finding a specific collection of brushes is not easy. 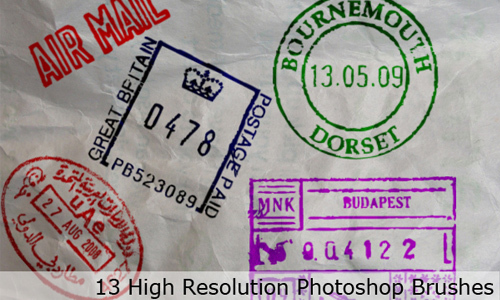 Therefore, we find time to collect and bring together high resolution Photoshop brushes for you and this time we offer stamp Photoshop brushes. 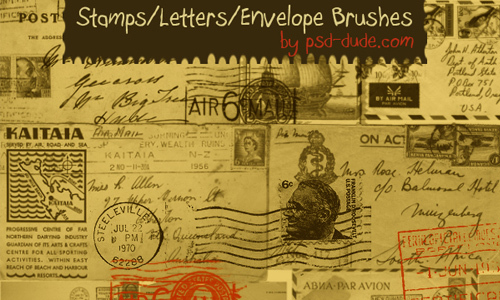 Here’s a collection of Free Stamp Photoshop Brushes to make your designs more delightful to look at. Have time to experiment with these brushes. Enjoy browsing! 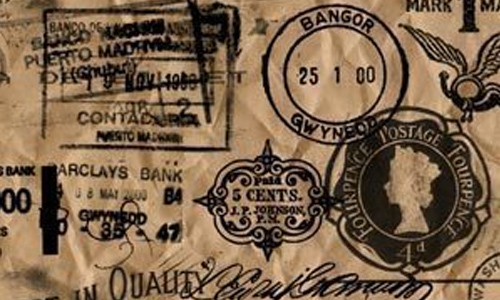 These old postage stamp brushes were created using Photoshop CS3. 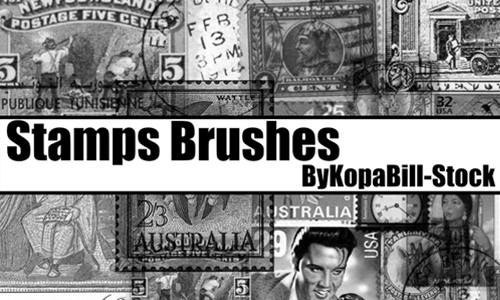 This set of free Photoshop brushes contains four stamps available for you to use on your design projects. 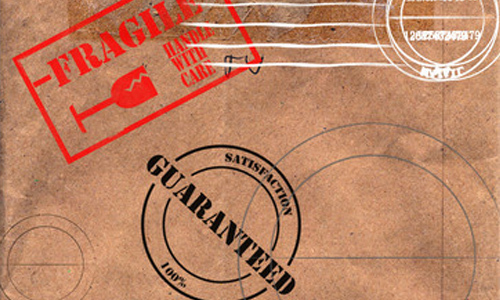 This set is a mixture of stamps, letters and envelope Photoshop brushes which are in vintage style. 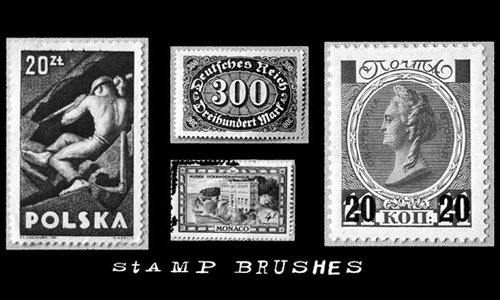 A total of 24 brushes are included in this set which contains images of those markings you see on letter envelops or postcards that you usually receive via the traditional postal service or snail mail of which each brush has a resolution of 2500 pixels and was created in Adobe Photoshop CS3. 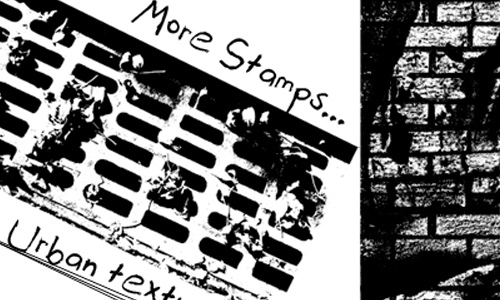 Another set of stamp Photoshop brushes. 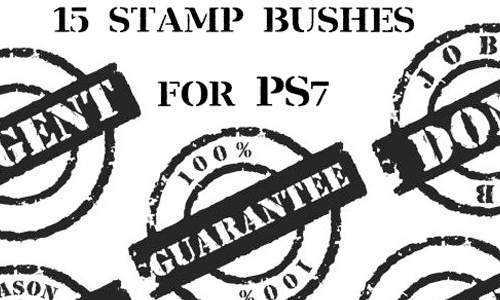 There are 15 stamp brushes included in this set which was made for PS7. 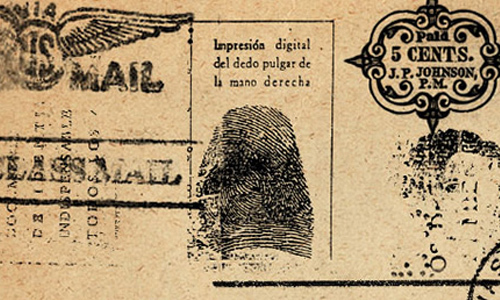 A package which includes 45 post stamp brushes and was made in Adobe Photoshop CS3. 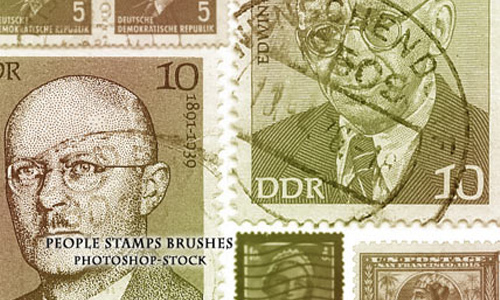 This set contains 20 high-resolution stamp photoshop brushes. 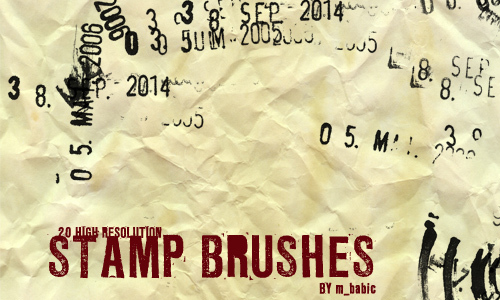 This set actually contains 9 brushes ( 1 bark brush, 5 stone brushes, 1 sewer opening brush, 1 brick brush, 1 rusty shovel ) of which all of the brushes are at 2500 brush size which are suitable for use on breakfast parties and dirty street fights and other background stuffs. 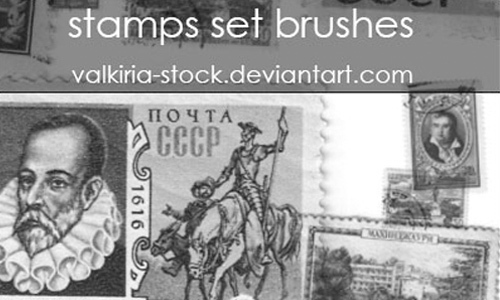 This set includes 5 stamp brushes made in Photoshop CS3. 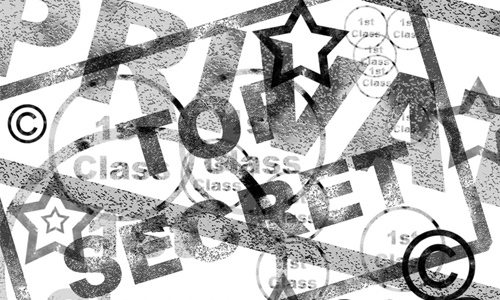 There are 13 high-resolution stamp brushes included in this set which are great for digital scrapbook projects and adding character to your design. 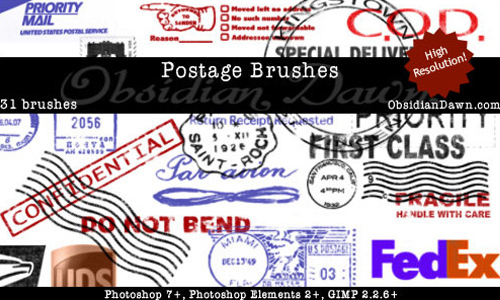 There are 31 Photoshop brushes made up of various postage related items included in this set. There are 22 brushes included in this set in which it was made in PS 8. 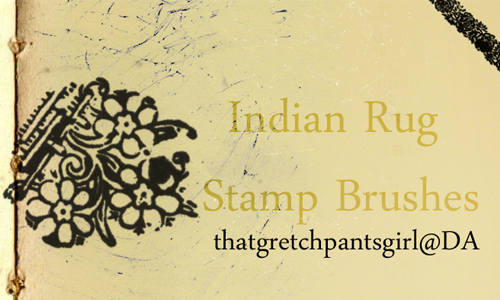 Four Photoshop brushes are included in this set in which the brushes are made from giant Indian Fabric Stamps freely available for PaintShop Pro users. 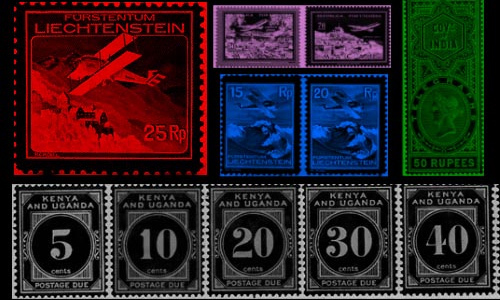 There are 20 postage stamp brushes included in this set which was created in Adobe Photoshop 3. 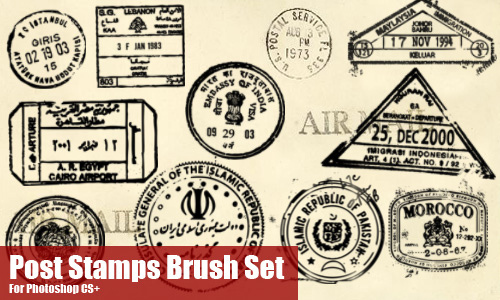 There are over 15 stamp brushes included in this pack. 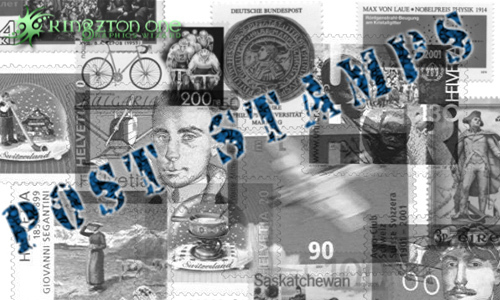 This set was made in Adobe Photoshop 7 and includes 23 brushes of people stamps. 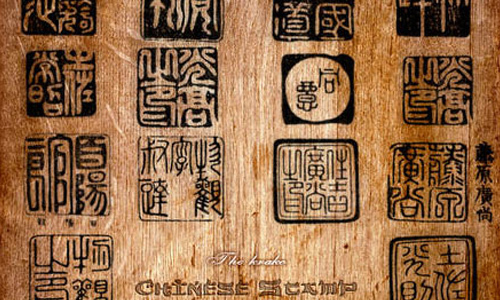 There are 14 old Chinese stamp brushes included in this set which was made in Photoshop. 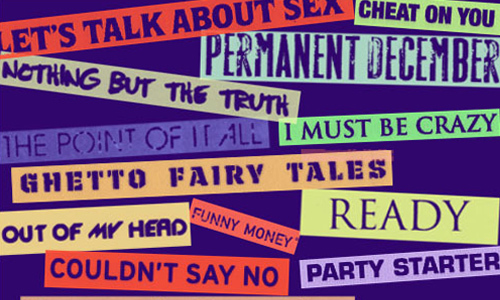 These brushes are from the back cover of the cds and are 38 of them included in this set which was made in Photoshop CS3. There are 7 brushes included in this set which are in high resolution of which they were made in Photoshop CS2. 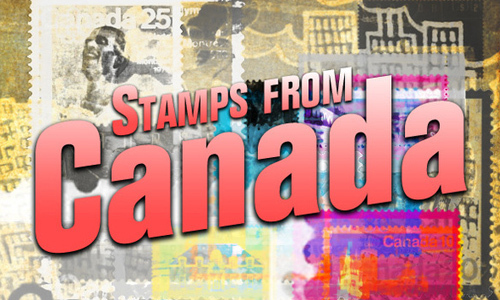 There are 26 brushes included in this set of Canadian stamps which will work great on aged paper. 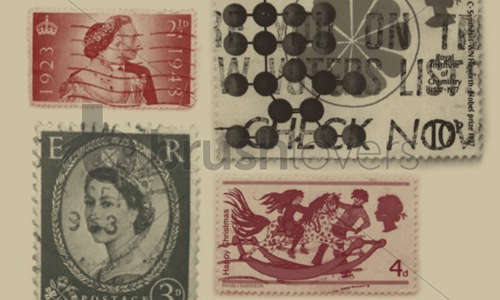 These are real-life stamps from the UK of which this set are composed of 14 photoshop brushes. 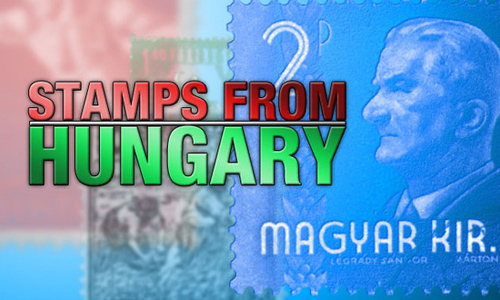 A pack of photoshop brushes which contains 342 stamps from Hungary and was made in Photoshop PS7. Could be useful for some design..
Really! very cool brush set.